Thank you for visiting my blog, I really do appreciate it and hope you like the project and will take a look at the video as well. 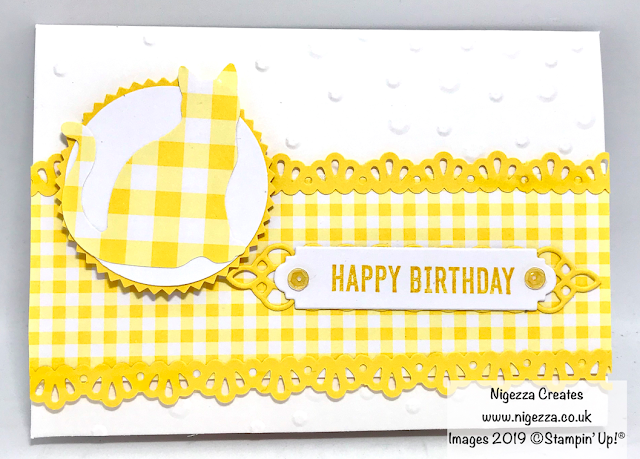 I am really excited to be sharing with you my first card kit. I have been planning on doing one for ages and finally put one together for you. 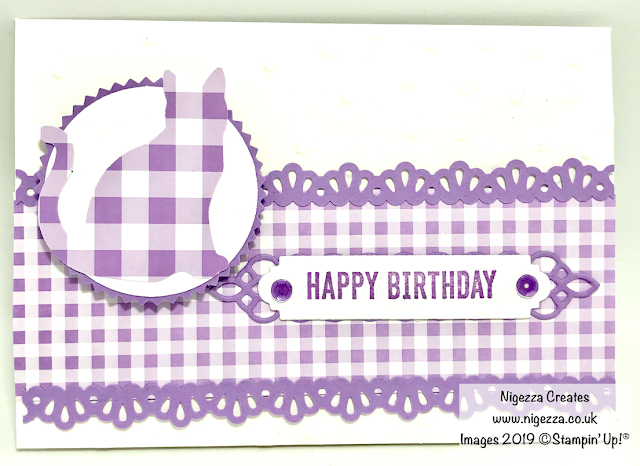 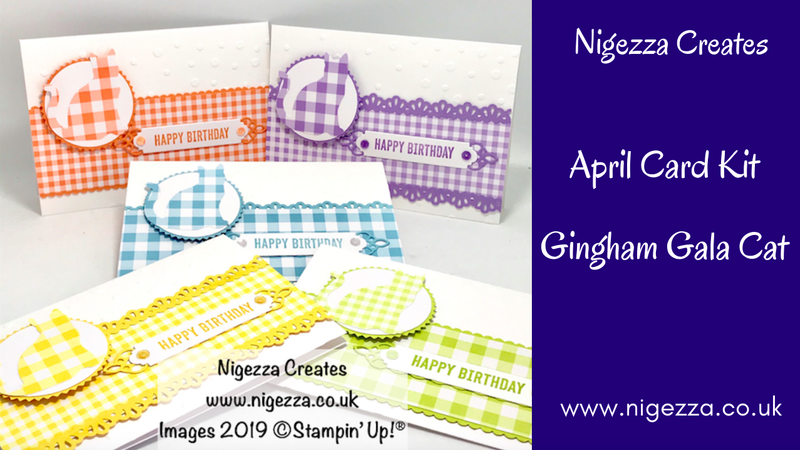 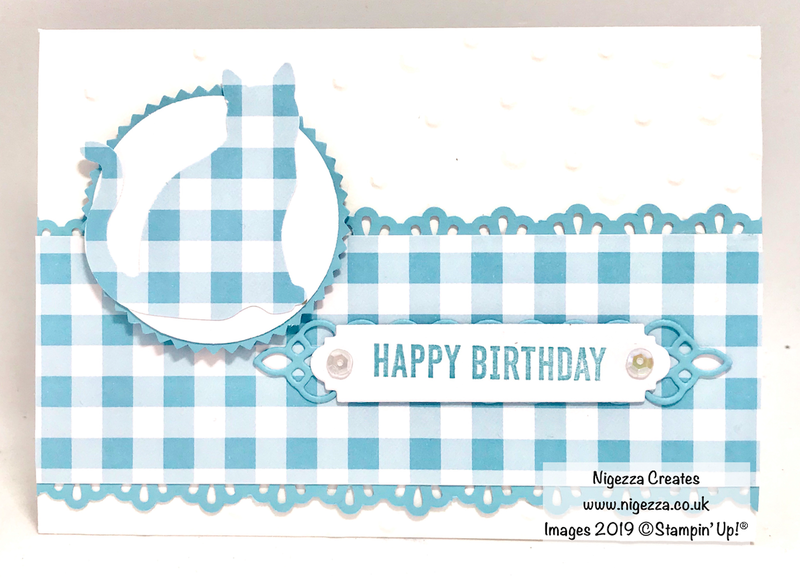 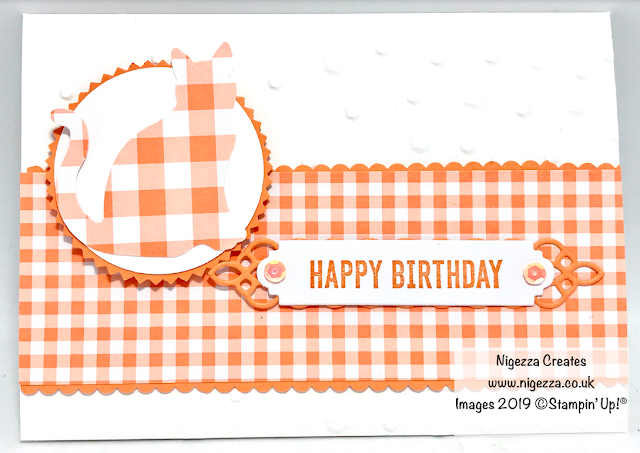 This card kit is using the lovely Spring colours of the Gingham Gala DSP and the cat punch. You will receive everything that you need to make the 5 cards. 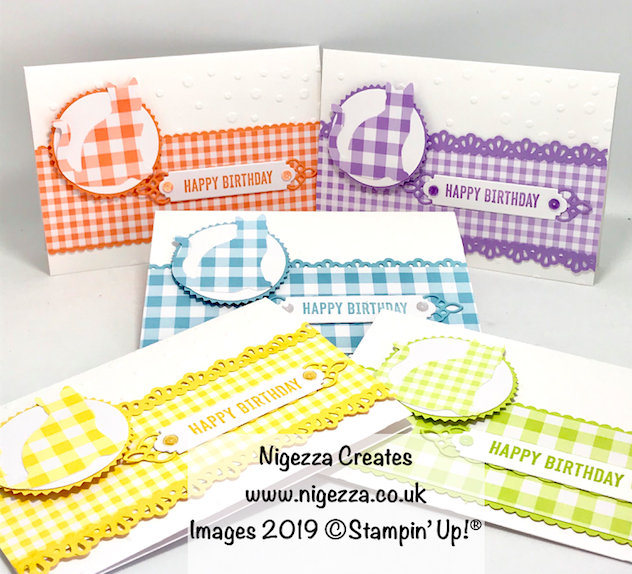 One in each of the 5 colours. 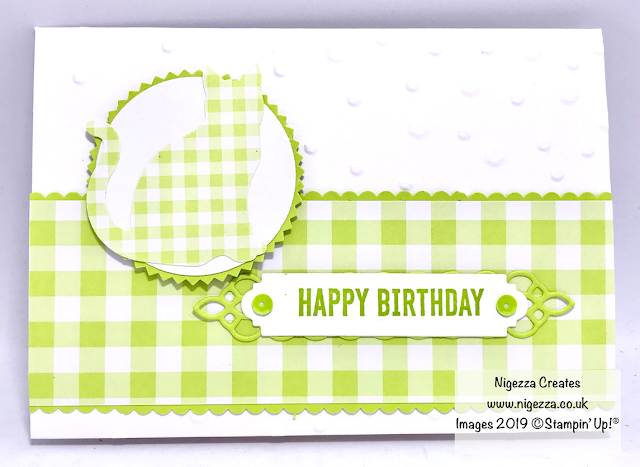 You ill only need to add a sentiment as I am not allowed to include stamped images or sentiments in kits.